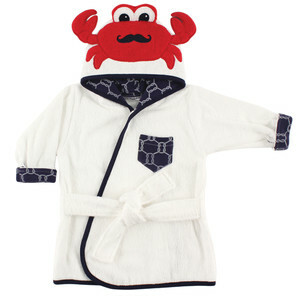 Hudson Baby Animal Face Hooded Robe is made of 100% cotton terry and is super soft and absorbent as well as machine washable. These fits baby from 0-9 months and will keep baby snug and warm after bath or swim time. These fun designs will make your kids want to jump in the water!